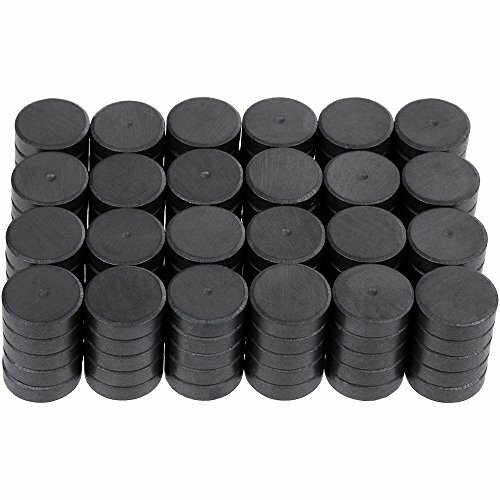 Creative Hobbies Ceramic Industrial Magnets -11/16 Inch (.709) Round Disc - 3/16" THICK (.198" or 5mm) - Ferrite Magnets Bulk for Crafts, Science&hobbies - Grade 5-100 pcs/box! This offer is for a Wholesale Priced Package of 100 Magnets. 11/16 Inch (.709" or 18mm) Round x 3/16" (.198" or 5mm) Thick Flat Disc Magnets have good holding power! Grade 5 Ceramic composition. Great for all craft and hobby applications. Can be glued onto any surface. Dimple marks North Pole so applying correctly is a breeze! 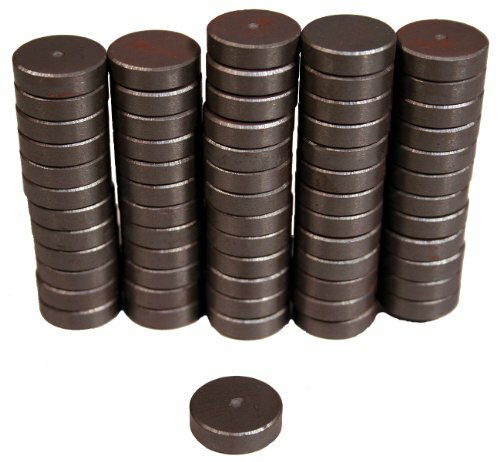 These inexpensive disc magnets are commonly called Ceramic Craft Magnets and are solid strontium ferrite discs. These are high quality and strong for their size. These are receptive to most adhesives including hot glue, E6000, Goop, Bond 527, Liquid Nails, 2 part epoxies and more. Great for making refrigerator magnets, bottle cap magnets, small signs, magnetic buttons, and more! As with all of our products these magnets are brand new and factory fresh. Edges are slightly beveled so they do not scratch surfaces. North Pole side of magnet is marked so you can apply the magnet easily to the correct side. See our other listings for larger quantities, other sizes and adhesive for mounting. NOT A TOY, Keep Away From Children. WE ARE A USA OWNED AND BASED SELLER!! OUR MAGNETS ARE THE BEST QUALITY ON THE MARKET! This offer is for 25 Magnets. 1 Inch (25mm) Diameter x 5/32 Inch (4mm) thick, Flat Disc Magnets have super strong holding power! 2800 Gauss, Grade 5 Ceramic. Great for all craft and hobby applications. Can be glued onto any surface. Dimple marks North Pole so applying correctly is a breeze! 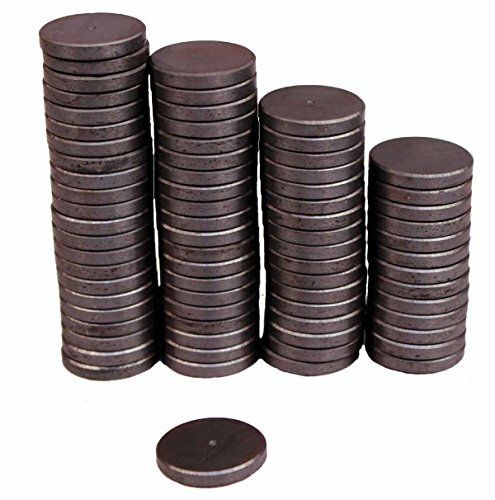 These inexpensive disc magnets are commonly called Ceramic Craft Magnets and are solid strontium ferrite discs. These are high quality and very strong for their size. These are receptive to most adhesives including hot glue, E6000, Goop, Bond 527, Liquid Nails, 2 part epoxies and more. Great for making refrigerator magnets, bottle cap magnets, small signs, magnetic buttons, and more! As with all of our products these magnets are brand new and factory fresh.See our other listings for larger quantities, other sizes and adhesive for mounting. Creative Hobbies Small Christmas Tree Wiring Kit #ML2-B6. This lighting set is complete and ready to install in various types of small craft projects such as ceramic Christmas trees and other small objects. 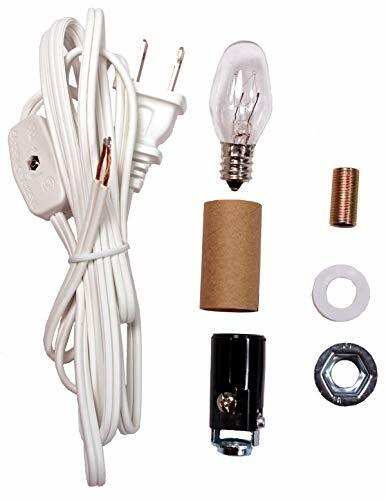 Our kit is complete and ready to install with all the parts included: 6 ft. white cord that has a rotary switch installed on it, 7 watt steady burning night light bulb (candelabra base) all hardware parts are provided for you to connect this kit into your craft project. All the parts provided are U.L. and C.S.A. listed and assembly into your project will be quick and easy. Please Note: These are electrical products, not toys. To avoid risk of fire, burns, electrical shock or other injury, install correctly, do not exceed ratings and do not place where small children can reach them. For indoor use only. 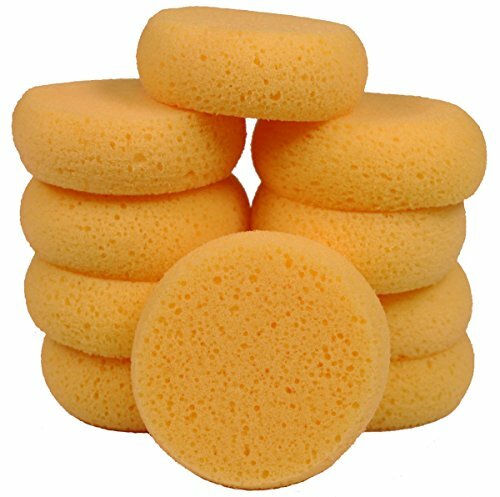 Creative Hobbies® hake brush is made of soft sheep hair and is made thick to provide a firm touch. It produces a wide variety of background effects and can be snapped apart to make a smaller brush. The handle is made of bamboo and measures 1 7/8" wide by 4.25". Hake brushes are unique flat, wide brushes, ideal for applying media over large areas, for wash, sizing, gluing and more. The flat handle and the select soft hair give you excellent brush control. 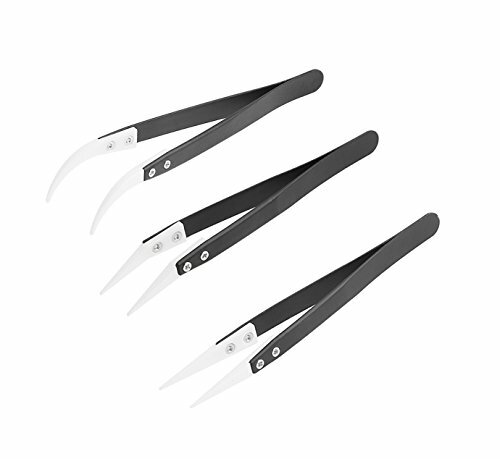 It's an indispensable tool when used on delicate and absorbent Oriental papers and on art and craft projects. 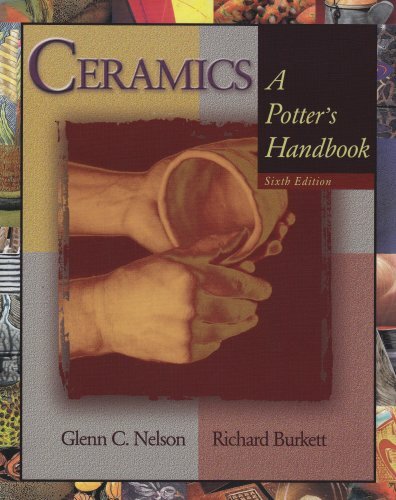 This classic handbook introduces students to the fundamentals of the ceramic arts, beginning with a comprehensive history of ceramic materials, techniques, and practices up to the present day and then moving to a detailed presentation of ceramic techniques from the most basic to the complex. This new edition has been thoroughly updated throughout to incorporate the many new resources and materials available to ceramists as well as the most current techniques and technical and safety information. Compare prices on Hobby Ceramics at Shopsimal.com – use promo codes and coupons for best offers and deals. We work hard to get you amazing deals and collect all avail hot offers online and represent it in one place for the customers. Now our visitors can leverage benefits of big brands and heavy discounts available for that day and for famous brands.